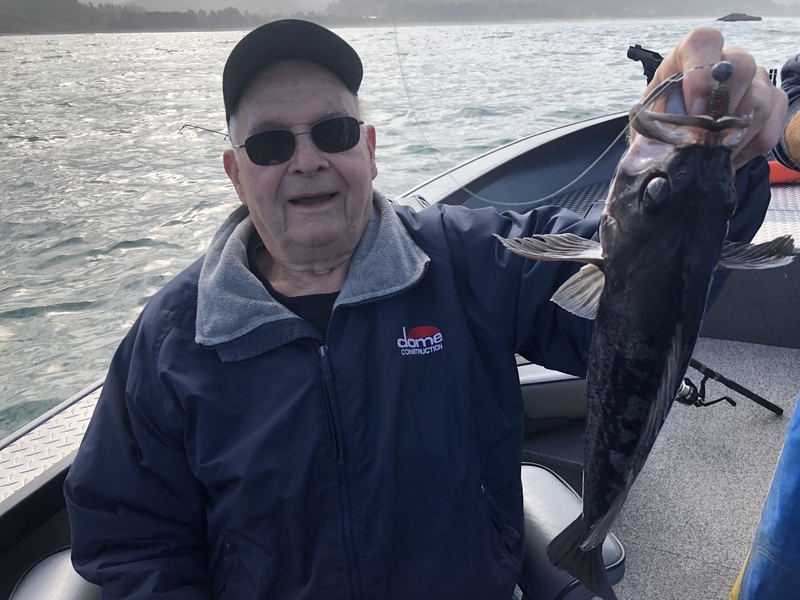 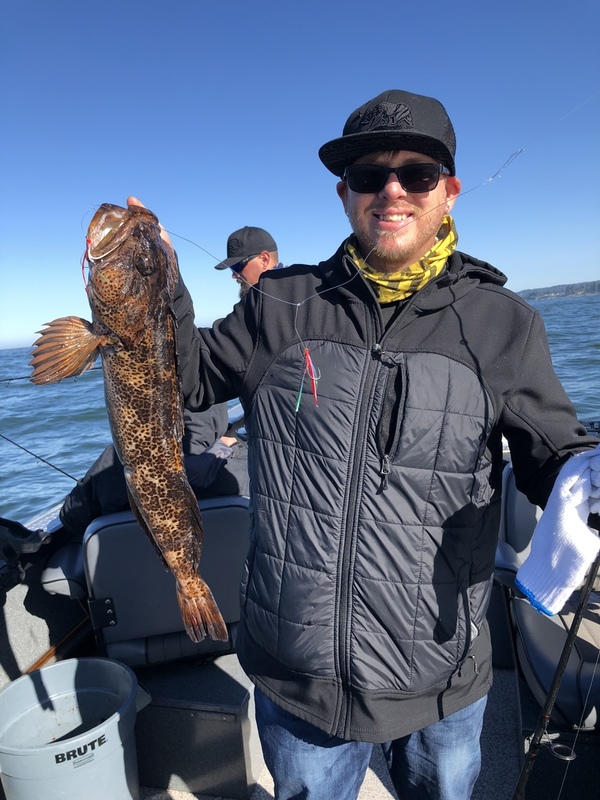 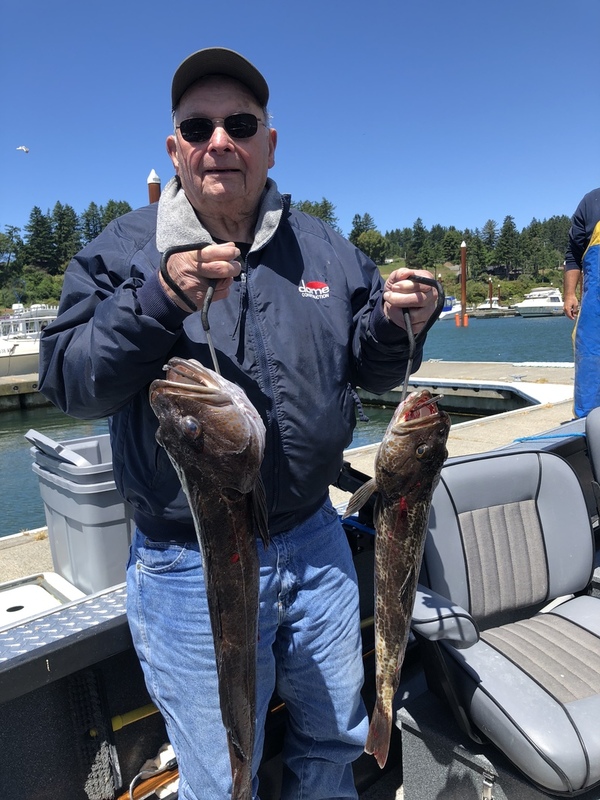 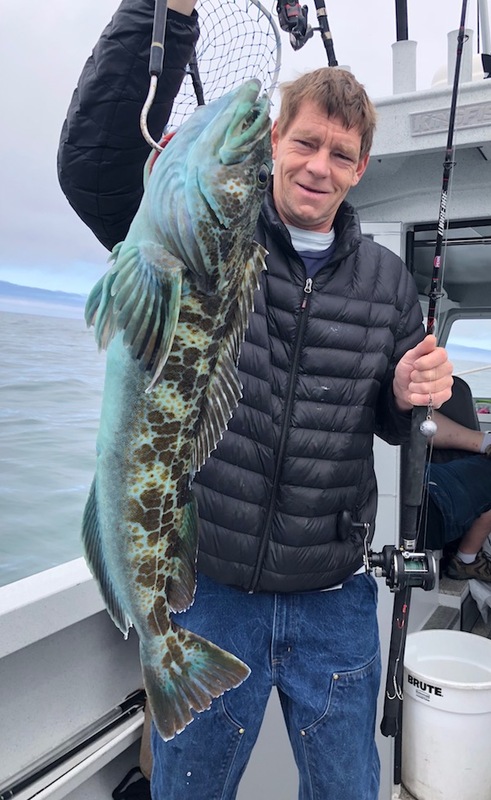 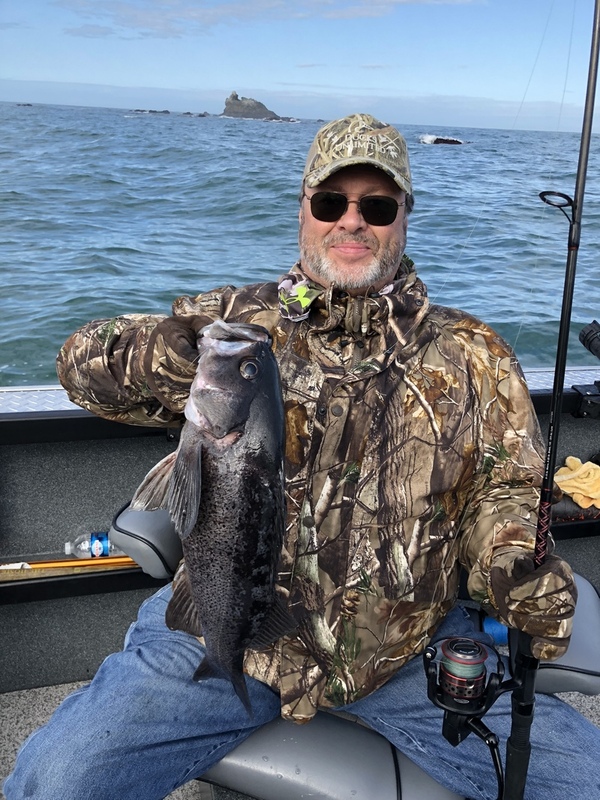 The windy weather that kept us off the water the last few days continued today, but we were still able to get in on a nice lingcod and rockfish bite before it became too rough to fish. 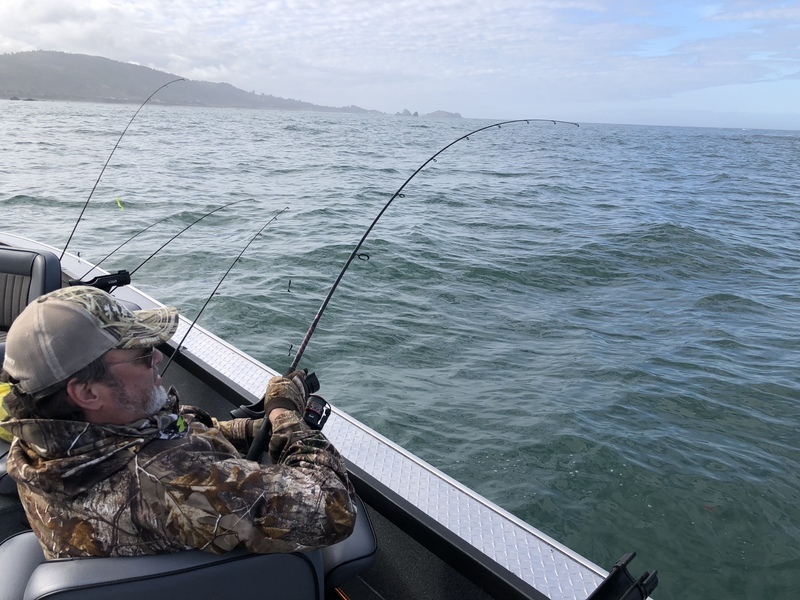 We headed south to the Aiken Point area again for calmer water. 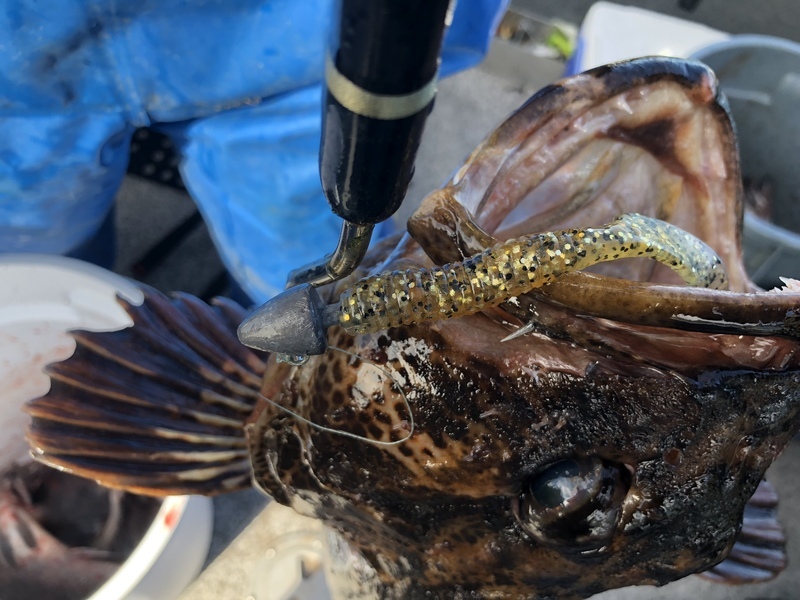 Nice grade of rockfish on the top water grubs and dartheads. 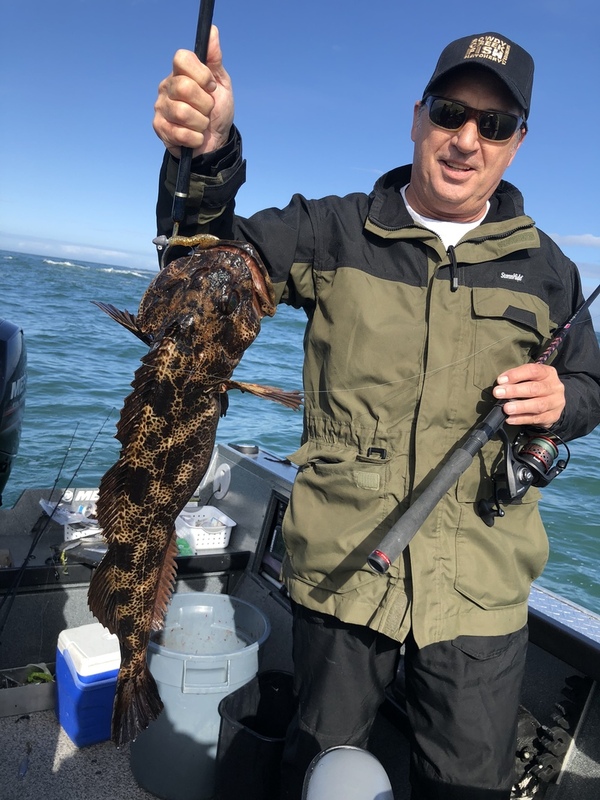 Bill with a nice lingcod.